Data breaches are reaching epidemic proportions. According to the 2011 Verizon Report, there were more breaches in 2010 than the previous three years the study was conducted. The report also revealed that a whopping 79 percent of organizations were not fully compliant with the Payment Card Industry Data Security Standard (PCI DSS), despite validation a year earlier. 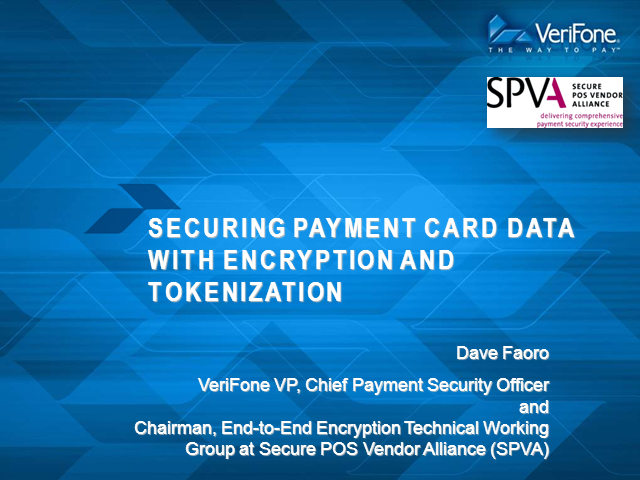 To combat this growing trend, many businesses are turning to tokenization and encryption to increase data security and reduce the challenge of PCI DSS compliance. This discussion will take a closer look at the state of the industry, provide a technological overview of tokenization and encryption, cite specific case studies and explain how to use tokenization and encryption as a one-two punch.